The blue reagent is designed to detect increased levels of total protein in GCF. These proteins and human inflammatory proteins such as antibodies and serum albumin. Bacterial infection has been shown to increase the levels of these protiens in GCF. 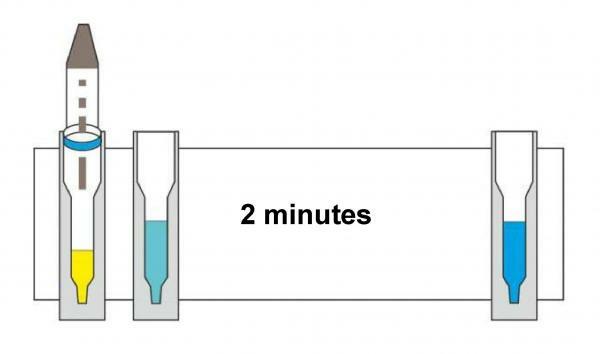 The greater the level of total protein in the GCF sample, the brighter the assay mixture turns blue. It is important to know that the protein toxin test is not a stand-alone test. He is an addition to the previous sulfur-toxin measurement.